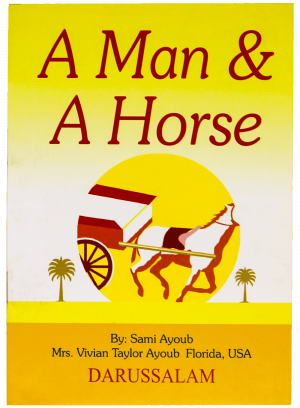 A Man and A Horse by Darussalam is a short story written by Sami Ayoub and Mrs. Vivian Taylor Ayoub. Although small in size this book gives a huge lesson regarding the treatment of animals in Islam. It highlights the correct Islamic approach in dealing with animals through a short story of a man traveling in a horse-drawn carriage and having the sole mission of selling his merchandise in the market and multiplying profits. He is visited by a strange as he rests under a tree and is taught a lesson he would never forget.